Check back later for links to ride photos! Another GPS week and that meant... rain! Intermittent showers cause some Low-Keyers today to become a bit moist, but there was still a solid rider turnout on Pescadero loop, a course Low-Key has wanted to do for a long, long time. So thanks, everyone, who came out and made this climb still yet another 2016 Low-Key success story!!! 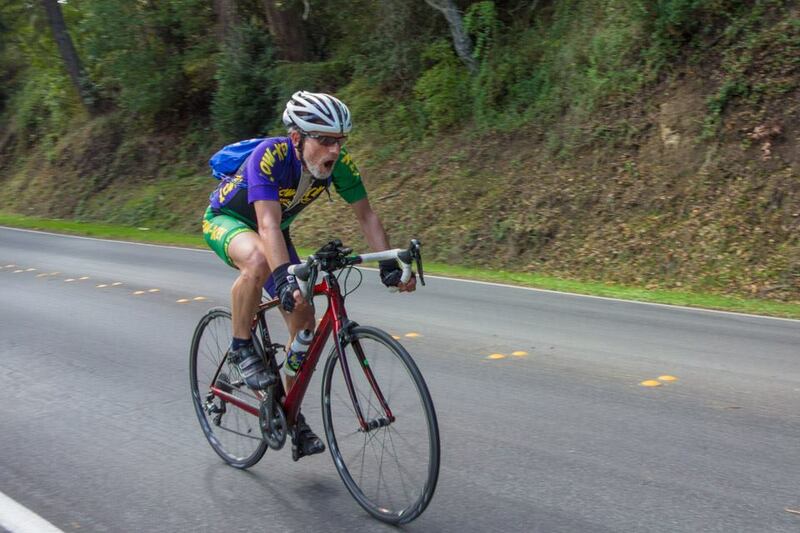 Rumors that Bill Bushnell's e-bike shorted out and exploded in a spectacular fireball descending Haskins Hill in the wet are as yet uncomfirmed. However, in any case Bill is clearly fine. Note, if you uploaded a ride early Saturday and are not listed here, please try again, as the data repository had not yet been properly configured at that time.